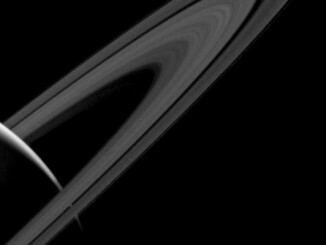 Here’s the good news: Saturn’s glorious rings might last as long as 300 million more years. The bad news? They might be gone much sooner than that. 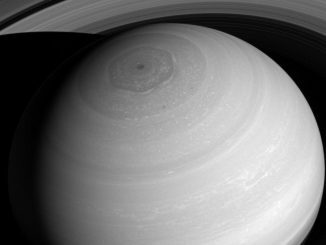 Saturn’s rings are mostly made up of chunks of water ice as small as microscopic grains to boulders several metres across. Their orbital velocity acts to prevent Saturn’s gravity from pulling them in. But smaller particles can become electrically charged by ultraviolet light or from plasma produced in collisions with micrometeoroids. When that happens, particles can be pulled into the planet’s atmosphere along magnetic field lines. After vaporising, water molecules can chemically react with Saturn’s ionosphere, increasing the lifespan of electrically charged H3+ ions, made up of three protons and two electrons. Sunlight can cause these particles to glow in infrared light, which was observed by O’Donoghue’s team using instruments at the the W.M. Keck Observatory in Hawaii. Analysing that light, the team found the amount of rain matches the high values derived more than three decades earlier. The researchers also found a glowing band at a higher latitudes in the southern hemisphere where Saturn’s magnetic field intersects the orbit of the moon Enceladus, which spews water ice into space from geysers fed by a sub-surface ocean. 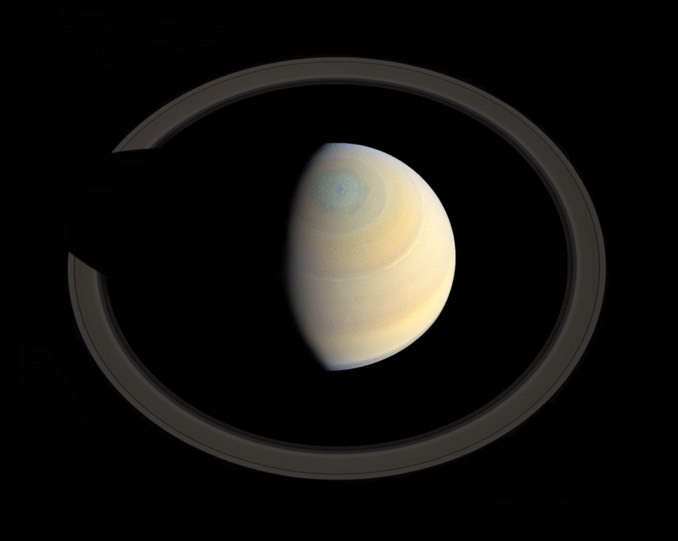 O’Donoghue’s team wants to find out how the ring rain changes as Saturn moves through different seasons during its 29.4-year obit of the sun. Those observations will help researchers pin down the ultimate fate of the rings. Saturn appears as a serene globe amid tranquil rings in this view from NASA’s Cassini spacecraft above the planet’s pole. 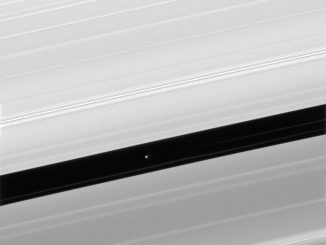 Pan and moons like it have profound effects on Saturn’s rings. The effects can range from clearing gaps, to creating new ringlets, to raising vertical waves that rise above and below the ring plane. All of these effects, produced by gravity, are seen in this image from the Cassini probe.